I have very fond memories of going to Scholastic Book Fairs when I was a student. What could be better than seeing your school library transformed into a kids-only bookstore?! I grew up in a small town (and before ordering books off of the internet was as easy as it is now), so it always felt like a treat to be able to discover new books and make purchasing decisions for myself. 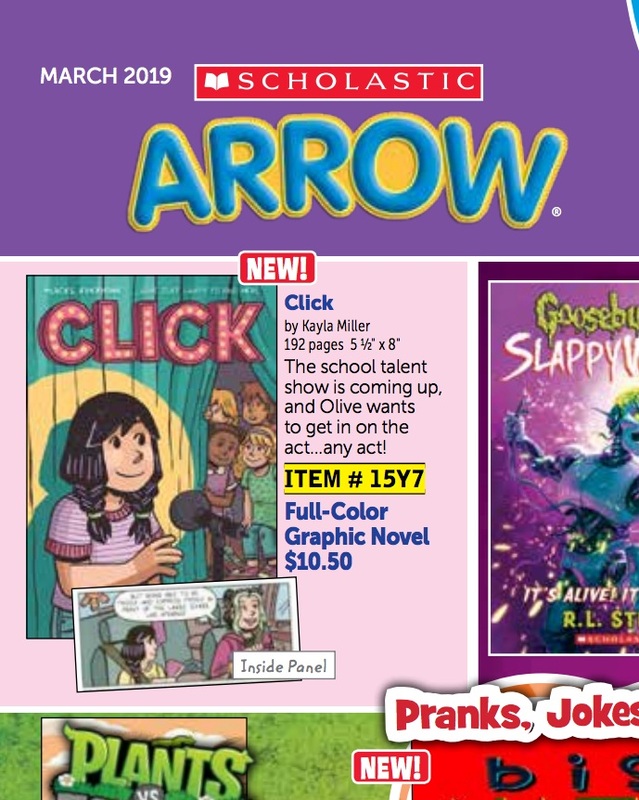 I never imagined that when I was older I’d see my own work on those familiar shelves and in the Scholastic catalog. I was so excited to see these pictures from the Book Fair at my cousin’s school and when my partner’s mom texted me that my book was in Arrow… right next to a Goosebumps book, no less! It’s a huge honor to see CLICK in such good company and hopefully becoming part of a new generation of readers’ fond memories. CAMP - it's almost here!